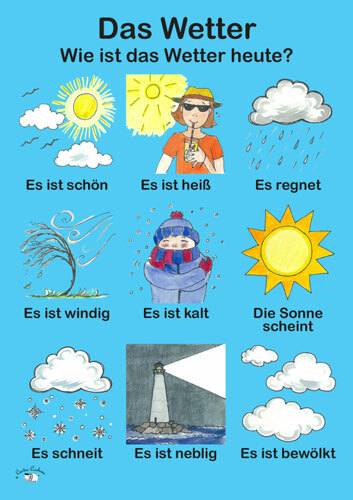 A3 poster to teach the weather in German. Great quality poster, I have bought several of these to brighten my classroom. Recommended to all teachers of MFL!